See Anonymous for voice(s and continuo) (Anonymous composers). 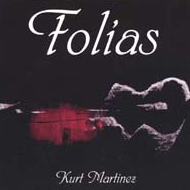 FOLLIA for ballet, chamber orchestra and electronics (2004). It happend that the choreographer Nicolo Fonte, told me about his project to create a choreography with some, intially generic, baroque inspiration. So I suggested to use the Follia theme, as one of the most emblematic of the baroque era. A theme that I love particularly anyway. In a second meeting we had the idea of integrating Vivaldi's Folia in a revisited, rearraganged version. Like chinese boxes, a new series of variations on La Follia, fitting a version (mine) of another version (Vivaldi's). This recording is provided simply for the purpose of demonstrating the instrument. The performer is not a professional, and many will say that this music is inappropriate. They are probably correct. 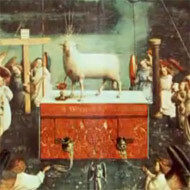 Agnus Dei Folia, the last movement of the Mass on Renaissance Basses. Recording date: May 2008 in the First United Methodist Curch, Pacific Grove, Canada. This particular variation uses an oboe and several sounds which are approximately like a piano, so it works acceptably in midi format. I have tried several of the others but not with much success. Most of the variations use sounds which are nothing at all like the QuickTime instruments. 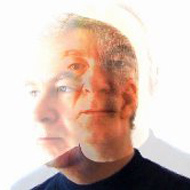 My version is an entirely electronic composition (so there is no printed score) and is more-or-less a theme and variations, except that the variations move progressively farther from the original tune, eventually reaching a sound-universe unimaginable to a 17th-century musician, and containing melodic and harmonic fragments only distantly derived from the original. The whole piece is about 15 minutes long. Eventually there will be a choreographed version. It has been heard on several concerts on the West Coast of the U.S. and will appear on my CD next year sometime. Score: 1 manuscript 30.7 x 22.4 cm. Published by Lemoine, Paris 21 p.
printed version in RISM A/I, D 1674. Contents: (f. 1v:) 1.re Prelude, g, 3/4 -- (f. 1v:) 2.e Prelude, g, 3/4 -- (f. 2r:) Thêma, g, 3/4 -- (f. 2r:) 1.re Exercice, g, 3/4 -- (f. 2v:) 2.me Exercice, g, 3/4 -- (f. 3r:) 3.me Exercice, g, 3/4 -- (f. 3v:) 4.me Exercice, g, 3/4 -- (f. 4r:) 5.me Exercice, g, 3/4 -- (f. 4v:) 6.me Exercice, g, 3/4 -- (f. 5r:) 7.me Exercice, g, 3/4 -- (f. 5v:) 8.me Exercice, g, 3/4 -- (f. 6r:) 9.me Exercice, g, 3/4 -- (f. 6v:) 10.me Exercice, g, [3/4] -- (f. 7r:) 11.me Exercice, g, 3/4 -- (f. 7v:) 12.me Exercice, g, 3/4 -- (f. 8r:) 13 Exercice, g, 3/4 -- (f. 8v:) 14.me Exercice, g, 3/4 -- (f. 9r:) 15.me Exercice, g, 3/4 -- (f. 9v-10r:) 16.me Exercice, g, 3/4 -- (f. 10r:) 17.me Exercice, g, 3/4 -- (f. 10v:) 18.me Exercice, g, 3/4. (f. 11v:) 20.me Exercice, g, 3/4 -- (f. 12r:) 21.me Exercice, g, 3/4 -- (f. 12v:) 22.me Exercice, g, 3/4 -- (f. 13r:) 23.me Exercice, g, 3/4 -- (f. 13v-14r:) 24.me Exercice, g, 3/4. This composer for the 5- and 6 course guitar wrote approximity 200 compositions for guitar solo and for guitar with piano, brass or violins. The name of this composer is often confused with the composer C. Lintant (1758-1830) who also wrote music for the guitar. So the fictive name 'Doisy-Lintant' is sometimes referred to in literature (Eitner) to indicate Doisy. This is extremely reminiscent of the Ponce set, but many shades easier. As it was explained to me by Duarte himself some years ago, the word "simple" was added to the title at the insistence of the editor for marketing reasons. 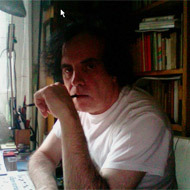 Duarte denied any concept of the piece being a "homage to Ponce" in any way, but in complete truth there's no chance that anyone who has played this set and who has heard the Ponce cycle cannot help but draw the conclusion that Ponce was a strong subliminal influence here, and the composer's protestations to the contrary be damned. The Duarte set runs about 5 minutes in length and is really worthy of concert performance. 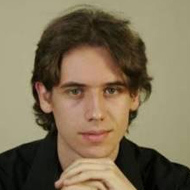 John Duarte's "Simple Variations on Las Folias, op. 10". 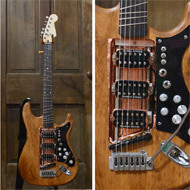 The word "simple" in the title was added at the insistence of Dr. Boris Perrot of the London Philharmonic Society of Guitarists (PSG). Duarte had written his "Impromptu in Eb, Op. 8" for the PSG, and Dr. Perrot shamefacedly had to tell Duarte that the key of Eb made it untenable for most of the PSG members to tackle. So Duarte came up with the Folias variations as an alternative, adding "simple" to the title so as to encourage the PSG members to give it a go. 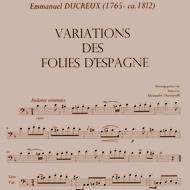 Title: Variations des Folies d'Espagne (Urtext) pour Basson solo, / PAR EM. DUCREUX Elève de Devienne . / PRIX 1f 80c / Chez CORBAUX, Md. De Musique à la Lyre d’Or, rue de Thionville N. 28. / Il tient Pièces de Théâtre et cordes de Naples. / Propriété de Corbaux – Enregistré à la Bibliothèque Impériale. 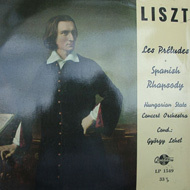 Like Busoni and Darvas wrote orchestral arrangements of the Spanish Rapsody by Liszt for solo piano, Dumbraveanu made an orchestral version of the Variations on a Theme of Corelli by Rachmaninoff for solo piano. 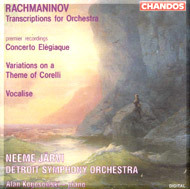 Dumbraveanu has taken no shortcuts, orchestrating even those variations that Rachmaninoff allowed to be cut. Although I'm not a great fan of orchestral Folias, this is an outstanding arrangement and a great performance in one. Depth and timbres are overclassing the original score in every aspect imho and i know this view will not make me very popular. Rachmaninov was on vacation in France in 1931 when he wrote the only original piano work of his years in exile: the Variations on a Theme of Corelli. It is doubtful whether the seventeenth-century violinist Arcangelo Corelli really inspired Rachmaninov's variations. True, Rachmaninov used the same theme Corelli had in one of his violin sonatas. But Corelli was not its inventor: the simple repeating bass known as La Folia had served as material for generations of composers. Some scholars speculate that Rachmaninov came to know it from Liszt's Spanish Rhapsody, which was part of Rachmaninov's piano repertoire. In any case, this ancient theme opened the springs of Rachmaninov's creativity again. The piano writing here shows a new economy of means and sparseness of texture, and the twenty variations are organized into a sonata-like scheme, with opening movement, scherzo, slow movement and finale - even a cadenza and coda. Rachmaninov had only sporadic success with the piece in his recitals, but it pointed the way to one of his greatest works, the Rhapsody on a Theme of Paganini for piano and orchestra, which followed three years later. This is the world premiere recording of the orchestral arrangement by the Rumanian conductor Corneliu Dumbraveanu. [...]. I wish I could be just as positive about Corneliu Dumbraveanu's arrangement of the Corelli Variations, however, this work doesn't strike me as quite so effective in recreating Rachmaninoff's orchestral medium. Indeed, it often sounds more Romanian than Russian, which is not surprising since Dumbraveanu is Romanian himself. Consider, for example, the Intermezzo or Variation 17. And I found myself at times conscious of the length of the piece, even though few of the individual variations last longer than one minute (Rachmaninoff himself occasionally left out a few of them when playing the piano score in concert). However, Dumbraveanu may be forgiven because of the beautiful oboe solo he has created in Variation 15, here played in melting fashion by the Detroit Symphony's first chair Don Baker. A luscious performance of Rachmaninoff's own arrangement of the well-loved Vocalise is appended to end the disc on a welcome note of repose. 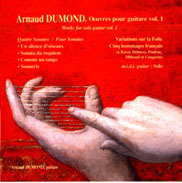 Variations sur la Folie (1987); 16 variations for guitar. The theme and all variations consist of only the first 8 bars of the original 16 bars, ending in the dominant (similar to the variations of A. Scarlatti). These Variatons on La Folia are part of a group of about twenty pieces which I call Style Exercises (Exercises de Style). 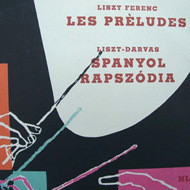 At present they have been published in various regroupings of which Five French Homages (Cinq hommages français) and Like a Tango (Comme un Tango) by Éditions Doberman-Yppan and Differences on Greensleeves (Différences sur Greensleeves) by Éditions Van de Velde. Concert pieces as well as exercises, they explore various past styles and forms in the light of the present-day guitar. Just like that of the interpreter, the task of the composer consists, among other things, in questioning the past. One way of evading those untimely yet dear influences is using a more contemporary language. Which is, in most of the cases, the occasion of transfiguring the original matter. These exercises neither parody nor paraphrase, neither replace, nor copy the original: they just fill in a gap. Actually, in the age of Ravel, Debussy or Ravel, in the times of Greensleeves or the Folia, the guitar waited in vain for a composition of its own, making use of everything within the present reach. An equally important aim I have set myself is that of evading stylistic automatisms of the guitar in order to open up a more universal musical realm. These pieces could appear to be the fruits of the pleasure of visiting "abroad", meant to be imported into the far too enclosed field of the guitar. Emerged from imaginary or faraway memories, they are like the 'account of a journey', in space as well as in time, but departing from and returning to ours. The Variations on the Folia rely on the regular scheme of the Folia, One does not have to choose between the sweet sentiment, or the gnashing folly evoked by the double meaning of the title and by the music. The theme has an accent on the second beat. Yet each variation contains its own dynamics, in accordance with its own style. I have tried to give every variation its own distinguised character, colour and style. In the first variation the attention is drawn to the bassnote pattern, which takes the shape of a chromatic scale in the second variation. The third variation is almost like a march, starting free and easy but ending in remorseful bitterness. In variation 4 the admosphere is cleared by the elastic scope of the notes with much suppleness like a never ending phrase by Mahler, bringing in elements of hesitation and passion. Three bars in one breath In variation 5 the technique of a lyrical tremolo is introduced while the melody progresses in the bassline. Variation 6 was inspired by Rachmaninoff, who composed some monumental variations upon the Folia-theme in the early thirties. The tension and centre of gravity in variation 7 and 8 are created by the sustained and repeated B-note in the upper register. In variation 9 an harmonic ambiguity is shown, while in variation 10 the abundantly use of left hand 'pull-offs' (mordents) is responsible for the increasing tension. Variation 11 plays with accused and blocked rythms, which free themselves in Variation 12, alla flamenca. The reprise of Variations 4, 5 and 6 brings the work to its fulfilment. In fact, these three variations are the only ones that do not follow the traditional pattern of the Folia: they are no more than a transfigured memory. 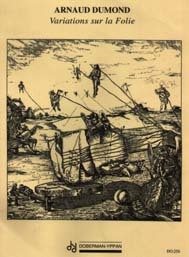 'Essai sur le doigté du Violoncelle et sur la conduite de l'archet'.